As the old saying goes "Power is nothing without control", which means that making decisions based on gut instinct is usually not a great strategy. Instead, you should try to get as much data as possible and make informed decisions. Luckily, ReferralHero comes with advanced analytics so that you can optimize your campaign as you go. 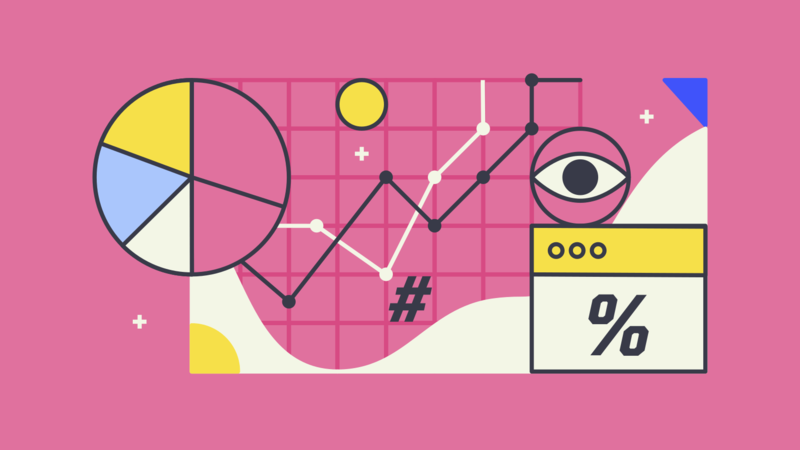 To measure the health of your campaign, you should monitor two metrics: active referrers and referral rate. "Active referrers" tells you how many of your subscribers are "active" (have referred at least one person). 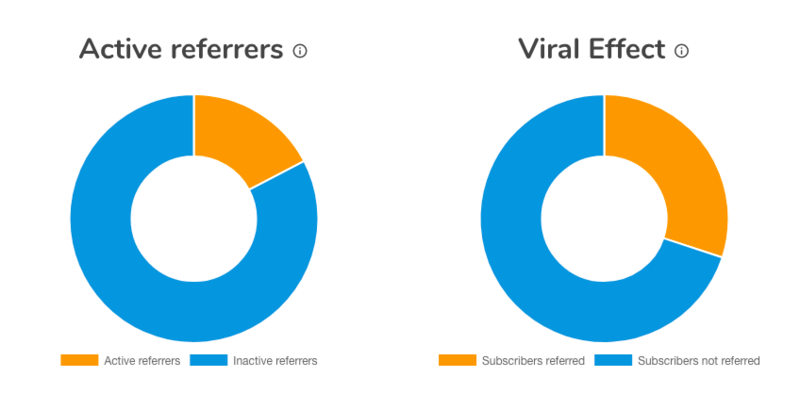 When it comes to "Active referrers" remember the Pareto Principle: 10-20% of your subscribers will likely refer 80-90% of people. This is normal, so don't panick if you see a small percentage of Active Referrers. 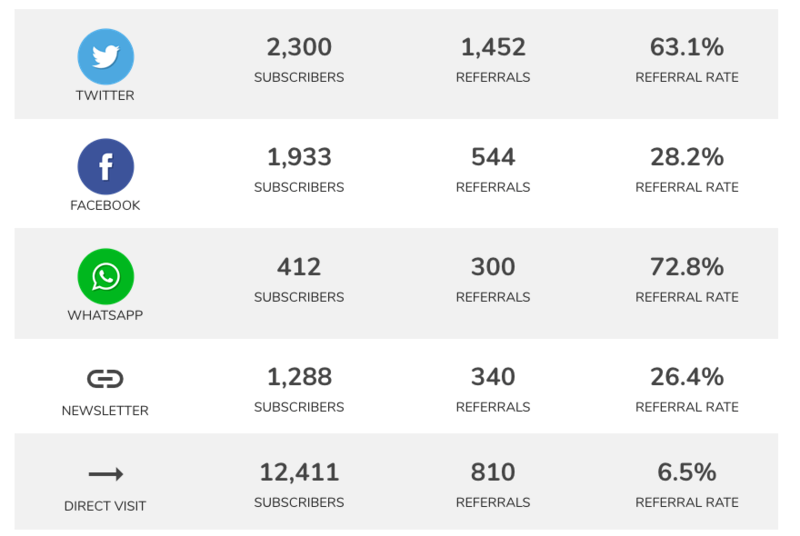 The "referral rate" measures how many of your total subscribers have been referred. For example, if you have 100 subscribers in your campaign and 35 of them have been referred, then your referral rate is: 35/100 = 35%. Very good. A referral rate between 20 and 40% is very healthy and it means your CPA (cost per acquisition) is, on average, 1/3 lower. Great. When your referral rate is over 40% you're flying: people are really engaged, your offer is clear, your page is designed perfectly and your campaign in general is optimized to the last detail. One final word about the referral rate: if you follow the best practices in our Academy, you're likely to improve your referral rate considerably. However, it could happen that, despite doing everything by the book, your referral rate doesn't grow beyond a certain level (eg: 25%). If you're in this situation, our suggestion is not to worry: we have noticed that in some industries conversion rates are generally lower. In this case, if you want to increase your absolute numbers you must drive more traffic. Another very important thing to know is where people are coming from so you know where you should invest you marketing money. For example, if you are testing paid ads on Adwords, Facebook and Twitter and want to know where you should be focusing, you definitely want to know how each channel is performing. With ReferralHero you can know this very easily. In fact, ReferralHero will track the marketing channels of each subscriber without the need for you to set up anything. By default, ReferralHero tracks people coming from Facebook, Twitter, Facebook Messenger, Email, Whatsapp, Telegram, Linkedin plus a few more. If you want to track your own channels (for example Facebook Ads or your newsletter) simply use UTM parameters (the only one that is really needed for ReferralHero is utm_source). When evaluating each channel, you should pay attention to two things: the absolute number of subscribers and the referral rate. The absolute number helps you figure out the CPA for that channel (how much money you have paid for it, divided by the number of subscribers), while the referral rate shows you the relative efficacy of each channel to attract referrals. For example, if you notice that Whatsapp has a much higher referral rate compared to Telegram, you can decide to hide the Telegram button from the form to "nudge" people towards using Whatsapp. Conversely, a low referral rate migth mean you need to change the default text. Finally, you can use this information to target similar people. For example, on Facebook you can create an ad campaign from a group of email addresses you import. Facebook will then create a custom audience of people with similar interests. This can significantly lower your cost per acquisition. ReferralHero automatically tracks on which channel people share their referral link. You can use this information to know where your audience hangs out and target these social platforms with specific messages. For example, if you notice that the vast majority of your users share on Whatsapp, you can add a field to your form asking people their phone number (and even verify it with SMS verification) and then you can send them a Whatsapp Broadcast with a specific offer. This information is also useful after the referral campaign is over to create ad-hoc ad campaigns on social platforms that have high engagement rates. ReferralHero also automatically detects the device used by subscribers. This information can help you identify technical problems; for example, if the referral rate on mobile is much lower than desktop, might be that you need to improve the mobile version of your website. How to choose the right incentives for your referral program.